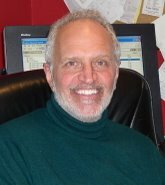 Today’s interview is with Gifted science writer, Mark Wolverton. He is also an author and a playwright. He has published three books. Among them are "The Science of Superman” “The Depths of Space: The Story of the Pioneer Planetary Probes”, and A Life in Twilight: The Final Years of J. Robert Oppenheimer. 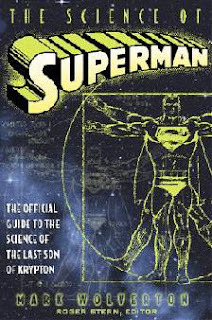 His book The Science of Superman provides scientific explanations of the physiology of Superman being different from humans, and how he developed powers beyond the limit of mortal men. Everyone knows that Superman is Kal-El, the infant son of Jor-EL from the planet Krypton. “The Science of Superman” describes and analyzes the powers and characteristics of Superman through the lens of real science. Mr. Wolverton successfully extracts actual data and theories necessary to explain how Superman's powers could and could not work. ‘The book was published in 2002. His second book, The Depths of Space: The Story of the Pioneer Planetary Probes, is an informative historical overview of the Pioneer space probe fist mission program launched in August 17, 1958. It is also about the misfortune to blow up 77 seconds into a lift off. This book is a tale of human achievement', that emphasis very much on the project and the people that made it possible and how they did it. The book was released in December 2004. His latest book A Life in Twilight: The Final Years of J. Robert Oppenheimer is about the developer of Atomic Bomb. He is also the professor of physics at the University of California in Berkeley. He is the man best known as the scientific director of the Manhattan Project, nuclear weapons at the secret Los Alamos National Lab in New Mexico, where his team first tested the bomb. The book is about J. Robert Oppenheimer the Father of the Atomic Bomb. The book was released November 2008. E.I. Would you share some early insight into who you were as a teenager? What were you like? 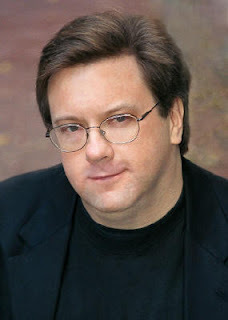 Please tell us more about Mark Wolverton -- the man behind the science writer, playwright and now an author? E.I. How do you imagine audience as you are writing? Do you have sheets of newsprint covered in a story boards all over your walls? MW It depends on what sort of writing I'm doing. When I do an article for a particular magazine, I have a pretty clear idea of my audience, because I'm already familiar with that publication and their readers. If I'm writing a play or some other fictional work, the idea of audience is somewhat broader and more hazy. I can say, however, that I never allow myself to forget that I *am* writing for an audience, not just myself. It's true that as a writer you always have to write for yourself first, but you have to do more than that if you want to be published or produced. Otherwise, you're just talking to yourself. E.I. 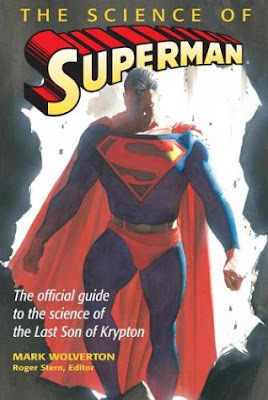 What was your biggest challenge in writing “The Science of Superman”? How many years of research did you do, and how did you decide what level of details your reader will accept? Did you work them out in advance, or did they evolve as you wrote the story? How did you overcome these challenges? MW It's rather ironic that you mention "years of research," because my biggest challenge in writing "The Science of Superman" was probably the fact that I had to do it in about three months! That project didn't originate with me, but was brought to me by my agent, who learned that Byron Preiss of iBooks was looking for an author to do it. Since I had a background in both science and science fiction, I was a natural candidate for the gig. It was a fascinating project because it demanded what amounted to a general survey of almost the entire range of science: biology, obviously, but also astronomy, geology and geophysics, classical and quantum/relativistic physics, and even psychology and sociology -- and I had to make it accessible for everyone from a high school audience to adults. It was also a rather humbling experience to think that in writing about Superman, I was playing around with, and perhaps adding something of value to, a true cultural icon, Superman. E.I. In your book “A Life in Twilight: The Final Years of J. Robert Oppenheimer”. How much of J. Robert Oppenheimer is planned out in your head? How do you know where you will go next with your story base on your research? MW "A Life in Twilight" grew out of my long-standing interest in Oppenheimer as a scientist, a public figure, and a human being. I've always found him a complex, contradictory, and wholly fascinating individual, and since I'm also intrigued by questions of moral ambiguity and motivations, he was a natural subject. I decided to focus on his life after he was publicly disgraced since that seemed to be where previous books about him always ended -- and I wanted to know what happened next. My main primary research source was his personal papers in the Library of Congress, which comprise a fascinating treasure trove of information not only on Oppenheimer but on much of the history of 20th century politics and science. Once I'd decided to concentrate on the last 13 years of his life (his "twilight years"), the structure of my story was fairly clear, and I was able to direct my research to that period. E.I. 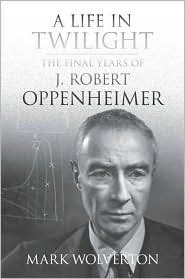 If you were asked to read a page from “A Life in Twilight: The Final Years of J. Robert Oppenheimer ” is there one that you would personally select to share with your fans? And why? MW Hmm...just one page? That's a tough call! But if forced, I'd probably choose to read either from the Prelude in the very beginning of the book, since it sketches out the basic core of the story, or perhaps something near the end, when Oppenheimer was facing his impending death with great courage and composure. E.I. Do you think that the vindictiveness of J. Edgar Hoover and Lewis Strauss was just paranoia? MW It was definitely paranoia, based not only on their sincere political and ideological convictions but also, especially in Strauss's case, a decided personal animosity (perhaps even hatred) for Oppenheimer. There's no question that Hoover didn't trust or like Oppenheimer, but then he felt that way about a great many people, including many that he pursued with more alacrity. With Strauss, however, it was definitely personal, and he managed to build up that personal dislike to such a degree that he convinced himself that Oppie was literally a threat to America itself. Once he had convinced himself of that, he was relentless and resourceful in moving against Oppenheimer. Few people have ever been better at holding a grudge than Lewis Strauss. E.I. What do you find to be the hardest part of writing “The Depths of Space: The Story of the Pioneer Planetary Probes” and “The Science of Superman”? How do you weave so much suspense and engaging elements of information into your books? MW The hardest part is having to stop the research and start the writing -- because I'm painfully aware that if I just had a little more time and resources for the research, there's always someone else to talk to or some interesting material to uncover. But when I come to that inevitable point where the research must end and the writing must begin, I strive to find the story in the mass of facts I've gathered, the real human beings who did the things and made the history I'm writing about. Whether you're doing nonfiction or fiction, it's always about telling a story, first and foremost. E.I. 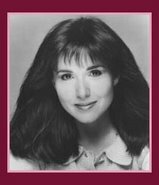 You are well known in the writing community as the science writer, author and playwright. Do you ever feel pressure or insecure, or are you able to separate all that from your own creative process? MW Pressure? Insecurity? All the time! But that's simply part of writing, or indeed any creative endeavor. It comes in many forms: deadlines, financial insecurity, the continual drive to improve one's own work. The key is to not let those feelings overwhelm you, to not take them so seriously, to be able to set them aside and do the work anyway. As a friend of mine is fond of saying: "Feelings are not facts." E.I. 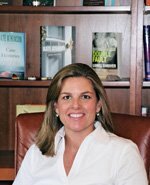 What would you tell those authors considering applying to an M.F.A. program? In your opinion how important is it for a writer to have a writing degree? MW I'll probably annoy some people by saying this, but in my opinion and experience, it's not important at all to have a writing degree. Whether you're doing fiction or nonfiction, editors care only about the quality of the work, not your academic credentials. Having said that, however, I'll add that I think an M.F.A. 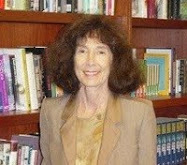 or other formal credential can certainly be valuable for other reasons, chief among them the opportunity that school provides for meeting other writers and building peer and mentor relationships. And of course, if you're looking to teach and work in academia, it's a must. But in the end, it's all about the work -- the words on the page. E.I. Mr. Wolverton, Thank you for contributing to my blog. It has been a pleasure for me to get to know your work a little better. Would you like to end your interview with a writing tip or advice for young aspiring writers? MW To be a writer (at least, on a professional, making-a-living level), you need an extremely high tolerance for insecurity, both financial and emotional; a prodigious capacity to shrug off rejection and indifference; a keen self-awareness of your own strengths and weaknesses; and an incredible amount of persistence (some might say stubbornness). Flexibility and versatility are also important, meaning the capacity (and the humility) to try something else when something's not working, on whatever level -- another rewrite, another project, another market, another genre, another style of writing. Realize that there really isn't any one best way to do it: every single professional writer finds his or her own path, and it's unique for every individual. (So if anyone tries to tell you he has the "one true secret to success," he's lying.) Know that talent, however much you may possess, isn't enough -- a lot of this business, probably more than most would like to admit, is based on sheer chance and luck. You can help your odds by being good, by being professional, by being persistent, but in the end, it's out of your hands, so you have to be able to accept that. You should also know that it's an ongoing process --you never really "arrive," because there's always another mountain to climb. Aspiring writers often think that if they just get their first story published or sell their first novel or whatever, the rest is gravy. It ain't. It never gets easier -- it only gets harder in different ways.